According to the Joint Center for Housing Studies of Harvard University the largest sector of improvemnts to real estate still remains in the DIY home owner. Effective building material displays are key to capturing a market that makes up an audience of home owner driven improvements. These purchases account for almost two-thirds of home improvement spending even with the down turn in the economy. More than a quarter of this spending was discretionary consisting of projects like kitchen and bath remodels, room additions, and structural alterations. 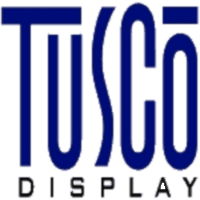 Major brands such as Acoustical Ceiling Products, Certain Teed, and Owens Corning have relied on Tusco Display to conceptualize, engineer, and produce fully interactive point of purchase building material displays for "big box" retailers.